Ridgelow, JC, Apr 11 – Confirmation was received tonight that Vice-Premier Jesse Coles will be moving to Australia in a few months’ time. The news has come as a shock to Premier Daniel Anderson, who had expected Coles’ departure from New Zealand late this year or in early 2013. Plans were drawn up last year for this event when it was expected he would be leaving sometime between February and April, however the plans were discarded when it was believed he was staying for the duration of 2012. It is understood he will most likely be leaving in late July or early August this year for Noosa, before moving north to the Gold Coast. Coles’ departure from New Zealand will mean the end of Jellicoe province, currently one of the oldest existing provinces in the country. Plans have already been made to accommodate the dissolution of Jellicoe province and the proclamation of Siroccan sovereignty over the new territory. “I am deeply shocked and saddened to learn of my loyal and trustworthy Vice-Premier’s imminent departure from New Zealand. Mr. Jesse Coles has been one of Sirocco’s most steadfast citizens since he helped form and found it in late 2010, and it is truly terrible that he will soon be leaving for Australia. However, new opportunities await him overseas and I wish him the very, very best of luck. 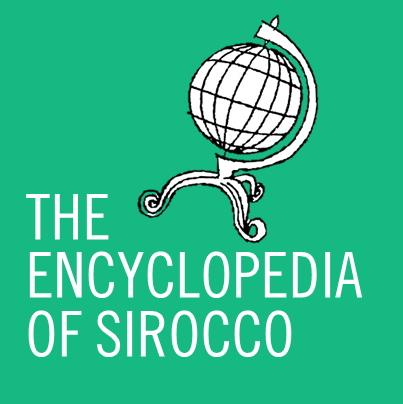 He has assured me that he will continue to serve the Federal Commonwealth of Sirocco, and I believe it is that spirit, of not giving up on your micronation despite being many miles away in another land, that is truly admirable and should be adopted by us all. Elizabeth Pountney, Minister of Culture, also issued a statement. “I’m supermegastupendously saddened by the fact that we will no longer be able to meet as easily as a four hour bus ride away (3 and a half of it is with Chanelle [Gibson] in her car XD) and he will indeed be missed terribly. More will be known in the coming weeks and months as to how the Government will deal with this latest upheaval.